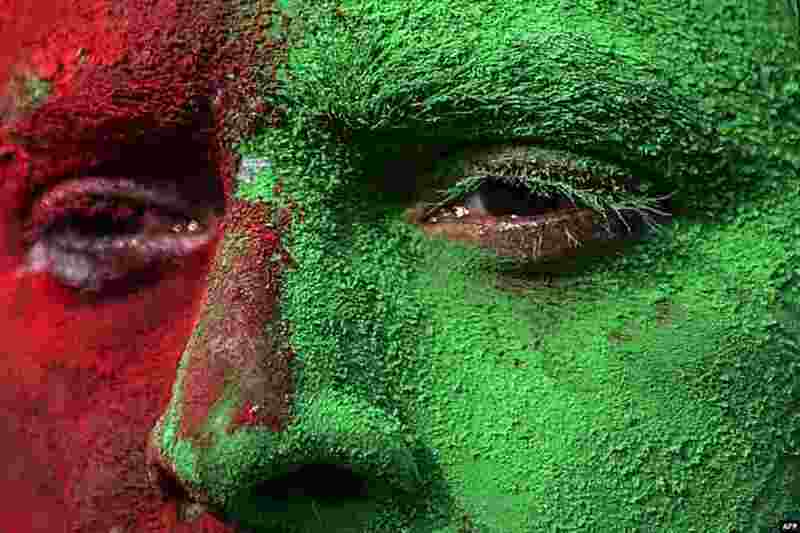 1 A Bangladeshi man, with his face painted in the colors of the national flag, takes part in a rally to mark the country's 44th Victory Day in Dhaka. 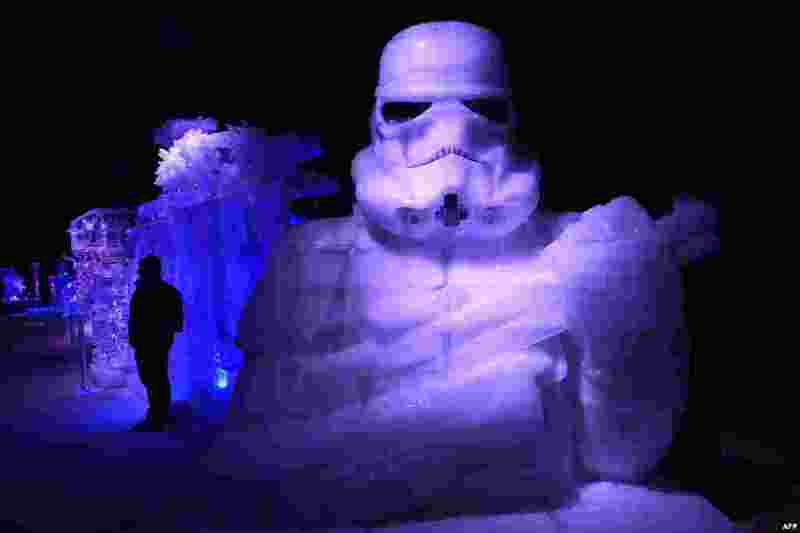 2 Ice-sculptures in the form of a Stormtroopers from the Star Wars series is displayed during the Star Wars Ice-sculpture festival in Liege, Belgium. 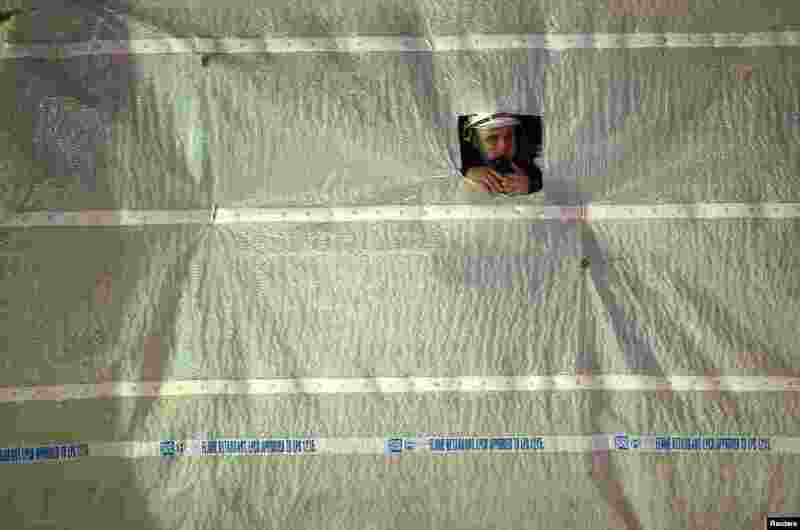 3 A worker on a building site watches the red carpet at the European premiere of Star Wars, The Force Awakens in Leicester Square, London. 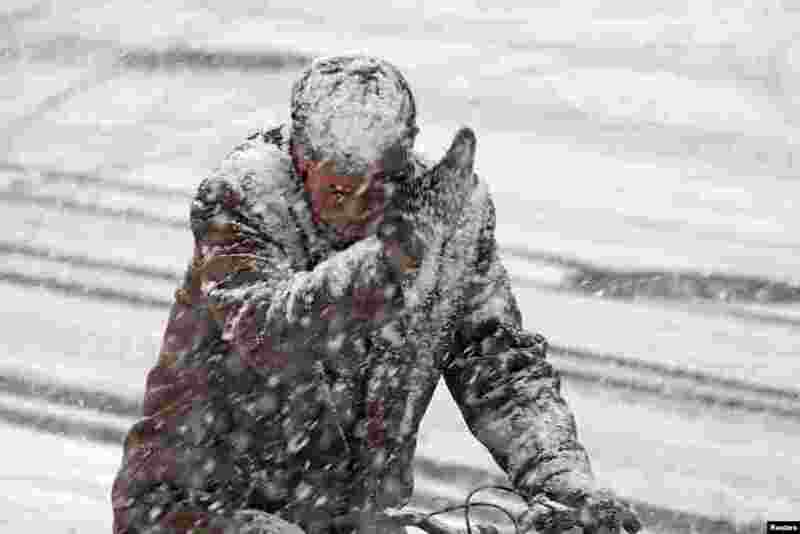 4 A man rides a bicycle along a street during a snowfall in Yantai, Shandong province, China.